Chord Qute EX review | What Hi-Fi? If you are thinking Chord’s Chordette QuteEX might look different to its predecessor, the QuteHD, then think again. In fact, the QuteEX looks pretty much identical. Rest assured though, this is a different machine. Not only have there been tweaks under the bonnet and improvements in specification, but sound quality has gone up a notch too. Both the Chord’s chipset and motherboard have been upgraded for the new model. This means the QuteEX can handle files with sampling rates up to 384kHz and DSD 128 over its asynchronous USB socket, as well as more standard resolution files. In keeping with the rest of Chord’s DAC range, the QuteEX doesn’t use an off-the-shelf DAC chip - instead, the clever guys at Chord use a bespoke, programmable circuit, which they customise to provide the best digital-to-analogue conversion possible. Like the majority of Chord DACs, the QuteEX also puts on something of a light show for its owner - peer through the circular window on top of the device and you’ll see the inside change colour depending on the sample rate being played through either the coaxial, optical or USB inputs. There’s no front panel button or display - inputs are auto-sensed and the DAC switches accordingly. CD standard 44.1kHz is represented by red; 96kHz is represented by green and so on. Build quality is up to the brand’s usual high standards, and the solid aluminium case makes a stark contrast to the usual bent metal casework we normally see at this level. Most importantly though, the QuteEX sounds more organised more detailed than its now defunct sibling. The DAC displays great confidence and composure with simple and complex arrangements. There’s a great deal of resolution and texture to Bruce Springsteen’s Heaven’s Wall, especially in 24-bit/88kHz-file format. Instruments sound natural, as does Bruce’s slightly-rough-around-the-edges vocal. The sense of scale and openness is striking, and the DAC gives plenty of breathing space to all the various components, from the background singers to Bruce’s guitar. Time, from the Inception soundtrack is a more of test of the Chord’s ability to handle complex bass arrangements and it passes with flying colours. The DAC gives plenty of weight, digs deep, defines edges with skill and manages to give every last ounce of information. And, the Chord still shows enough delicacy to handle the solemn piano notes at the end of the track. 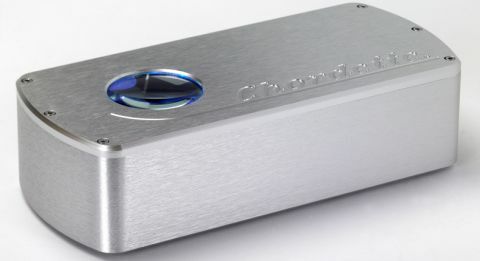 You’ll need to spend half as much again on Chord’s own Hugo DAC to better it – and this is what makes the QuteEX such a brilliant buy at the money.